In this freewheeling debut collection, Daniel A. Hoyt takes us from the swamps of Florida to the streets of Dresden, to the skies above America, to the tourist hotels of Acapulco, to the southwest corner of Nebraska. Along the way, we encounter a remarkable group of characters all struggling to find their footing in an unsettling world. Sometimes magical, sometimes realistic, sometimes absurd, these stories reveal people teetering on the dangerous edge of their lives. In “Amar,” a Turkish restaurant owner deals with skinheads and the specter of violence that haunts his family. In “Boy, Sea, Boy,” a shipwrecked sailor receives a surreal visitor, a version of himself as a child. In “The Collection,” a father and son squander a trove of bizarre and fanciful objects. And in “The Kids,” a suburban couple grasp for meaning after discovering children eating from their trash. In each of these stories, characters find themselves challenged by the political, cultural, and spiritual forces that define their lives. 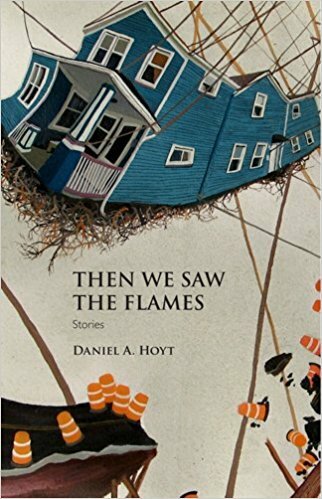 With a clear eye and a steady hand, Hoyt explores a fragile balance: the flames―fueled by love, loss, hope, and family―shed new light on us. Sometimes we feel warmth, and sometimes we simply burn.